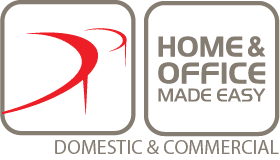 The term ‘Home Office Made Easy (AUST) Pty Ltd’ or ‘us’ or ‘our’ or ‘we’ refers to Home Office Made Easy (AUST) Pty Ltd, the owner of the website, whose registered office is ABN. 90 093 021 795, New South Wales. The term ‘you’ or ‘your’ refers to the website user. Home Office Made Easy handles returns and processes refunds in accordance with the Australian Consumer Protection legislation. Goods must be inspected upon arrival to validate any transport damage. If you have any issue or complaint with your order please email frank@homeofficemadeeasy.com.au within 48 hours or receipt of goods. For minor issues, a repair will be provided. If we are unable to resolve your complaint or further assist you, we will process a refund upon timely receipt of the goods purchased back to our warehouse. Should you wish to return your order, please notify us within 5 days of purchase with a valid reason for the return. Home Office Made Easy does not accept return claims for changes of mind or when goods are not used for their intended purpose. Goods will need to be returned in the same condition as received upon delivery. Refunds will be processed promptly following inspection of returned goods. If products are returned to Home Office Made Easy, they must adhere to the valid reason test and a replacement product will be given, no fees and charges apply.